Beautiful 4 bedroom, red-bricked beauty. Updated paint, 14 SEER AC, granite, and stovetop! 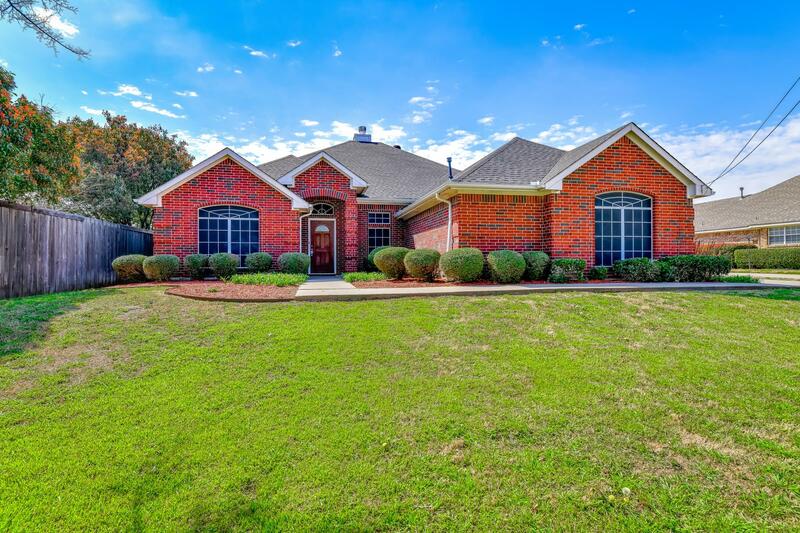 Lush landscaping that invites you inside to vaulted ceilings & newly refinished engineered wood flooring. Formal living & dining spaces cascade the entryway. The floor plan opens up to your living space framed by an updated fireplace. Your kitchen offers vast island space, stainless appliances, and a walk-in pantry. The master showcases a backyard view, stone-lined garden tub, gorgeous separate shower, dual sinks, and walk-in closet. Additional bedrooms await family or guests with the 4th bedroom offering space for a study. Your backyard oasis reveals a sparkling pool, attached spa, large grassy space, and storage shed.